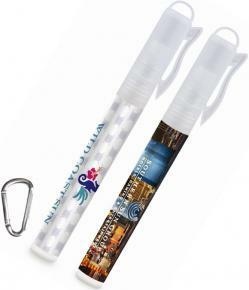 Promotional Items, Inc.™ invites you to select Sun Screen 4CP printed. 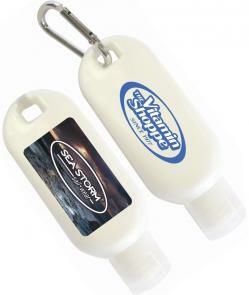 Spray, stick, lotion, toggle bottle with carabineer clip for company giveaways. 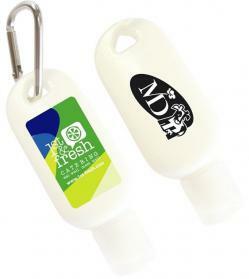 Fun in the sun is not complete without the sun screen & your logo. SPF 30 protection keeps the sun at bay and your logo in tune. 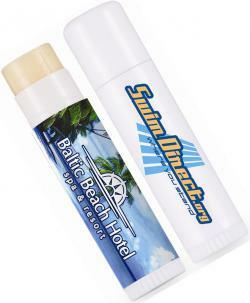 Choose handy Pocket Spray, Sunscreen Stick, 1 oz. and 2 oz. and the unique Sunscreen Clip Lip Balm Combination. Optional & included Carabineer attached available. your logo in economical four color process. 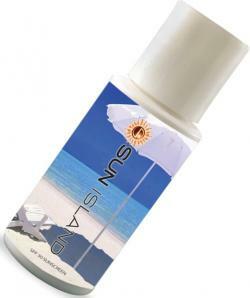 Browse below & buy Sun Screen for promotional giveaways. 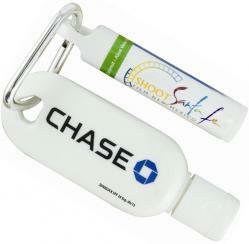 Toggle Bottle Lotion w/ Carabineer, Sun Screen-Lip Balm Combo for your marketing giveaways.